CIBC and Rogers revealed that the first point of sale (POS) mobile credit card transaction— using a secure SIM card housed in an NFC-enabled smartphone— has been made in Canada. According to a report by WMPoweruser.com, the flagship mobile payment was made with the CIBC Mobile Payment app using a Blackberry smart phone from Rogers. 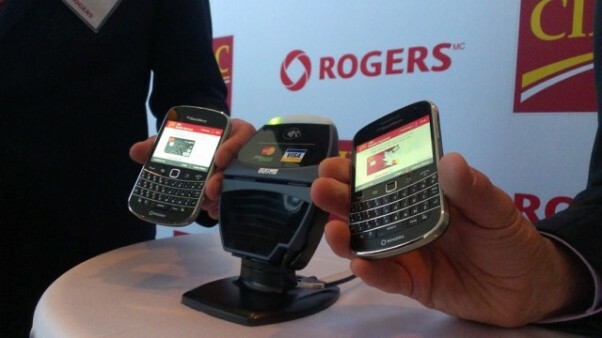 Future NFC payments in Canada will utilize the marriage of CIBC’s mobile app and Rogers’ wireless networks. CIBC and Rogers’ solution began on Nov. 16 and was made available on two smart phones during the initiative’s infancy— the Blackberry Bold 9900 and the Blackberry Curve 9360. However, the NFC SIM cards needed to access Rogers’ suretap networks are now available online for order. Additional suretap support has been added to accommodate Canadian customers with Android and Windows Phone devices. Using a Rogers smart phone, CIBC credit card customers can make NFC payments at any of the contactless POS terminals throughout the country. Using the CIBC Mobile Payment app, CIBC customers can make credit card payments without physically presenting their card at the point of transaction. The CIBC Mobile Payment app will be accepted at tens of thousands of Visa payWave and MasterCard PayPass terminals in Canada and abroad. For more information, see the full WMPoweruser.com article here.